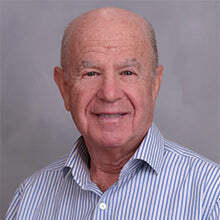 Edward I. Altman is the Max L. Heine Professor of Finance, Emeritus at NYU Stern. He is the Director of Research in Credit and Debt Markets at the NYU Salomon Center for the Study of Financial Institutions. Prior to serving in his present position, Professor Altman chaired NYU Stern's MBA Program for 12 years. Prof. Altman was named to the Max L. Heine endowed professorship at Stern in 1988 and his Emeritus status in September 2015. Prof. Altman has an international reputation as an expert on corporate bankruptcy, high yield bonds, distressed debt and credit risk analysis. He is also the Chairman of the Academic Advisory Council of the Turnaround Management Association. Prof. Altman was inducted into the Fixed Income Analysts Society Hall of Fame in 2001, President of the Financial Management Association (2003) and a FMA Fellow in 2004 and was amongst the inaugural inductees into the Turnaround Management Association’s Hall of Fame in 2008. In 2005, Prof. Altman was named one of the “100 Most Influential People in Finance” by the Treasury & Risk Management magazine. Prof. Altman has published or edited two-dozen books and over 150 articles in scholarly finance, accounting and economic journals. He was the editor of the Handbook of Corporate Finance and the Handbook of Financial Markets and Institutions and the author of a number of recent books, including his most recent works on Bankruptcy, Credit Risk and High Yield Junk Bonds (2002), Recovery Risk (2005), Corporate Financial Distress & Bankruptcy (3rd ed., 2006) and Managing Credit Risk (2nd ed. 2008). His work has appeared in many languages including Chinese, French, German, Italian, Japanese, Korean, Polish, Portuguese and Spanish. Read his full bio.